Bitium empowers companies and people to realize the full potential of web and cloud applications. With Bitium, IT can centrally manage access to apps across all users, while providing employees with one-click access to their apps from one place. This is a guest post from Bitium CEO Scott Kriz. Prior to cofounding Bitium, Scott was vice president of product for Fastpoint Games, a sports and entertainment gaming company that sold to Weplay in 2012. Prior to Fastpoint, Scott was director of product at ProElite, an entertainment and media company, where he managed live streaming events and video on-demand targeting mixed martial arts fans. Prior to that, Scott was CEO at MindEdge, Inc., a founding member of CollegeTownUSA, and worked as a systems engineer at General Electric and Raytheon Company. Bitium was launched in March 2012 and is headquartered a block from the beach in sunny Santa Monica, CA. If year one of your startup feels like the Amazing Race, then year two is more like the Amazing Race meets American Ninja Warrior. You’re building and moving on all fronts: product, sales, marketing, customer success, HR, fostering a culture, recruiting, and steering a vision. I’m now on day 826, still standing and I wanted to share my lessons from year two. The complexity of running a startup increases significantly during year two, but the silver lining is that you get more clarity around your product and vision. When we first started we knew the problem we wanted to solve. But solving the SaaS application management puzzle in the cloud era involves working in a big landscape. As it all came into focus, we arrived at our mission statement: “Bitium empowers companies and employees to realize the full potential of web-based applications.” The cloud has proven to be transformative and we see ourselves as the catalyst to help companies achieve these transformations. For us it’s about making life simple and improving the way our customers use their tools. This is ingrained in our DNA and it drives our product roadmap, UX, and customer onboarding. One of the key benefits of Bitium is that it offers an integrated application catalog with over 3,000 apps, which takes the integration and management burden off IT’s shoulders. My background, along with that of my co-founder and CTO, Erik Gustavsons’, is in building large scale online games being accessed by millions of players. The APIs were constantly changing; so we were pleasantly surprised to find how stable SaaS APIs are. We were able to build our application catalog faster, which meant we could focus our efforts on building bigger feature sets faster than we ever thought possible. Year two is all about getting stuff done. With an aggressive product feature roadmap, and marketing/sales firing on all cylinders, the to-do list gets pretty long. So we decided to amp up our Mondays — think of it as adding an additional 50 pushups at the end of your workout. The goal is to have each and every employee tackle something extra on their to-do list. Some of our most innovative product enhancements have come out of these nights. We bring in dinner, and regardless of what I’ve completed as my extra project for the day, I’ll hang around as late as necessary to support any team member. Thinking about infrastructure scalability from the beginning has been our “get out of jail free” card for year two. As our staff and customer base have multiplied, having a virtual infrastructure has met our growth challenges without hindering productivity. It is more straightforward and allows us to focus on operational scalability. For example, one of our top priorities as a company is customer success. We call it our “white glove” onboarding, where we do all of the initial setup and heavy lifting for our customers. Spending time optimizing that workflow and talking with our customers versus working on deploying more servers is paying multiple dividends. This is a two-way street as it also benefits internal scalability. I spend a great deal of time recruiting top talent, and nothing pleases me more to see new employees hit the ground running from day one because their onboarding is seamless. Lucky for us, our product is a part of this virtual infrastructure, so we get to be avid consumers and experience all of the daily productivity benefits. Always look ahead. This is easier said than done, but it’s a lesson we learned during year one and have continued to benefit from making it a priority. We have a grander vision that goes way beyond Single Sign-On. As the cloud industry matures, we know certain capabilities will become available, and we’ll be ready to bring our grander vision for the cloud to fruition. All of these lessons have kept us stealthy, innovative, and ready for the next phase of growth. Powered by our passion and eagerness to disrupt the industry, we’re excited about what we’ve built and where we’re headed. 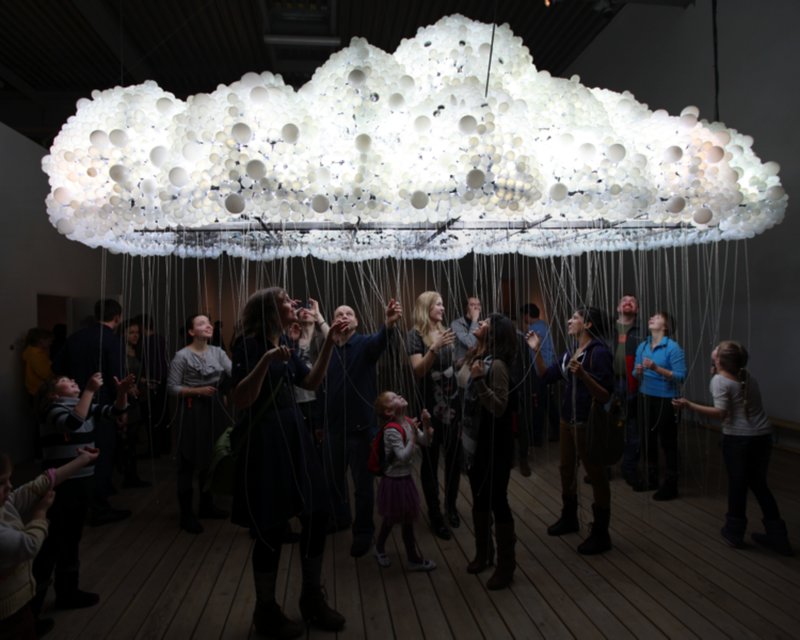 We call it the cloud nirvana and we know you are going to love it!